In 2017, APIENC hosted Panpan, a fellow who came to work with us from China through the Lingnan W.T. Chan Fellowship at UC Berkeley’s Public Service Center. 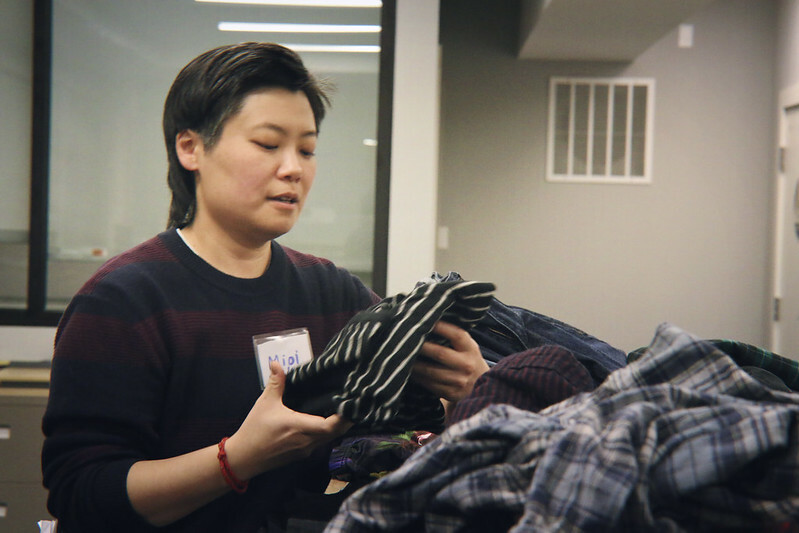 During her 5 months at APIENC, Panpan facilitated APIENC’s first Chinese Study Group, created case studies on the LGBTQ movement in China, and built deep relationships with our community members. This reflection is adapted from Panpan’s final speech at her closing reception. Hello everyone. 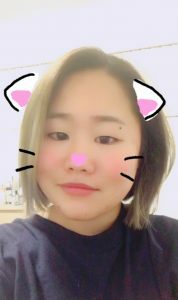 I am Panpan, the 2017 Chan Fellow at APIENC. I am from China, and I will go back to China soon. When I look back at the past four months, I can’t believe I grew up so much here. My time here has been an exploration. It has been an exploration of myself. I remember the moments I went to protests and rallies, which helped me understand the struggles and fights of people of different colors and races. I remember, the moments I facilitated a Chinese Study Group at APIENC, in which I shared about the LGBTQ movement in China. I remember, the moments I had weekly check-ins with MLin, and shared what I learned that week. It was in these moments that I realized for the first time, I am a Chinese Queer. Image description: Panpan, center, stands looking to the right. Two individuals sit to her left, laughing. Picture is from APIENC’s Annual Volunteer Appreciation Brunch, Nov 2017. One day, I visited the Rosie the Riveter Museum in Richmond and listened to a speech from Betty Sorskin about World War Ⅱ. During the war, because there was a need for labor, the government called on women to work, and they were able to enter the job force. But after the war, when men came back from the battlefield, most women were pressured to go back home and give up their jobs to men. I suddenly realized, what happened during the war in America is exactly what happened in Chinese history, and what is happening now. I suddenly knew why I was here, why I needed to learn about social movements in America: although we experience different conditions and violence, the logic of oppression is the same everywhere. After realizing the similarities between the two countries, the same can also be applied to queer and feminist theory! By understanding and learning in the U.S., I would have a deeper understanding about China, and would be able to reflect about the social movement in China. These days, I reflect on the question, “What is movement?” I believe movement is about who we are and who we want to be. It is deeply rooted in our daily life. At APIENC, one of my main internship goals was to fundraise. Donna, my host mom, wanted to help me with my fundraising so she pushed me to share my story at our family dinner, in front of her sisters and father. It was such a scary challenge, but I knew it was important. Not just for money, it was important to have conversation with older generations and this was also my first time to come out to them. 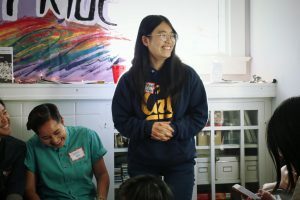 I began to share what I did and learned at APIENC, my connection with my community, and what it means to be a Chinese queer for me. I became very emotional and began to cry, but I continued to finish my story. After my story, we began to discuss LGBTQ issues around the dinner table. After our dinner, I saw an envelope on the table, with my name on it. When I opened it, I saw their donation and a card, they wrote on it, “Panpan, we are so proud of you.” I cried again! It was the night before an important presentation and even though I should have practiced my presentation, I just cried almost all night and texted MLin, Amy, and my other friends about what happened. I felt so powerful at that time, and I realized what is my movement, and why the personal is political. My movement is rooted in my daily life. That means I value my life experiences, I reflect on my life experiences, and I am honest to myself about who I am. 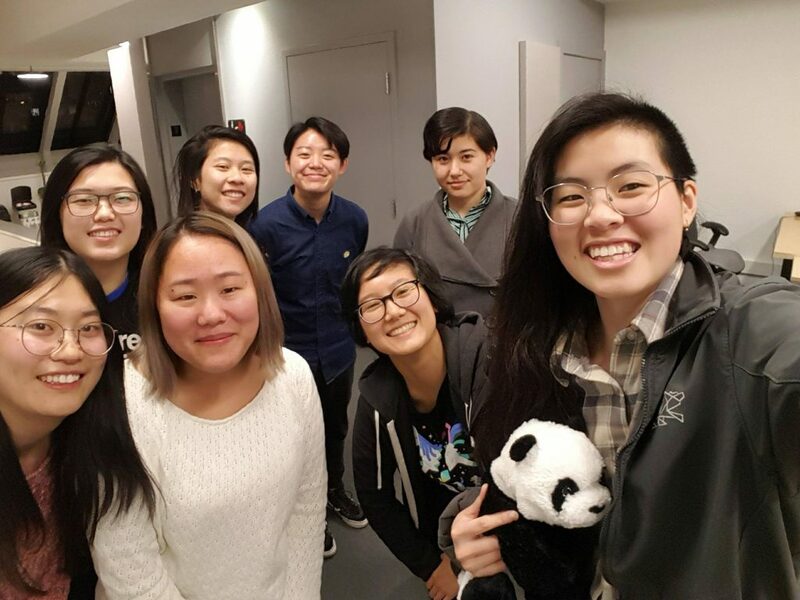 Image Description: Participants from the APIENC Chinese Study Group take a selfie together; from left to right, 8 people smile towards the camera. 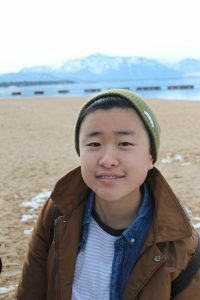 So reflecting back on my question, “What does it mean to be a Chinese queer?” I defined myself as a queer three years ago, but I never truly accepted myself until my time in the U.S. To be a Chinese queer is about acceptance. I realized that the more I spoke about myself, who I am and where I come from, I felt empowered and powerful in sharing with others. As we’re looking to uplift Trans Day of Resilience and counter the violence that our TGNC communities face, we want to provide a space where our TGNC folks can come together and honor our thriving trans selves now. Our Trans Justice Working Group is hosting a Black & Pink holiday card writing party on Monday 11/20 [Trans Day of Resilience and Remembrance] from 6pm – 8pm. Where: APIENC Office, Community Room (17 Walter U Lum Place, SF, CA 94108) Food will be provided by APIENC. 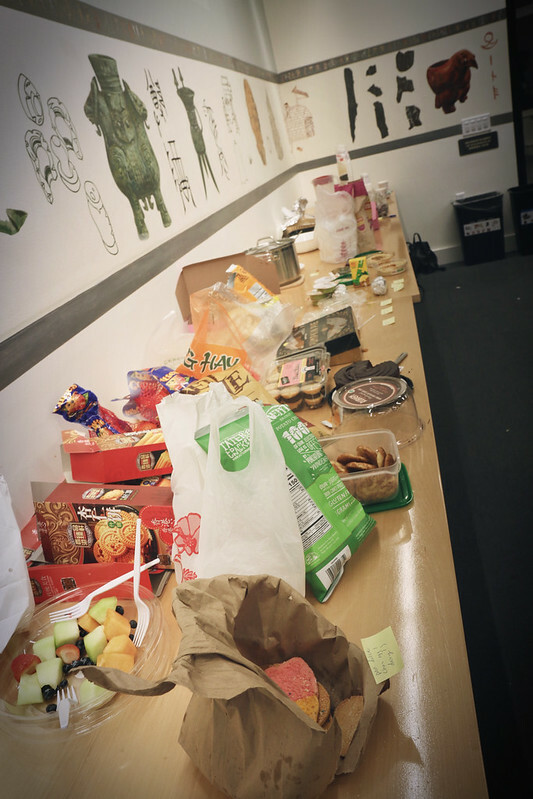 Please bring a potluck item to share, if you can! Whatever holidays you may or may not celebrate this time of year, folks incarcerated are often denied the ability to celebrate their traditions in the ways they choose, whether their desire be to celebrate the returning of light for Solstice, the miracle of Hanukkah, the birth story of Jesus, the Black radical tradition of Kwanzaa, New Year’s Day, or something else. We’re hoping that the cards we write, will bring moments of joy, connection and hope to currently incarcerated LGBTQ folks. And we’ll be giving a clear message to the prison system that we’re watching the ways they target and inflict violence upon low-income LGBTQ and/or HIV+ people of color! 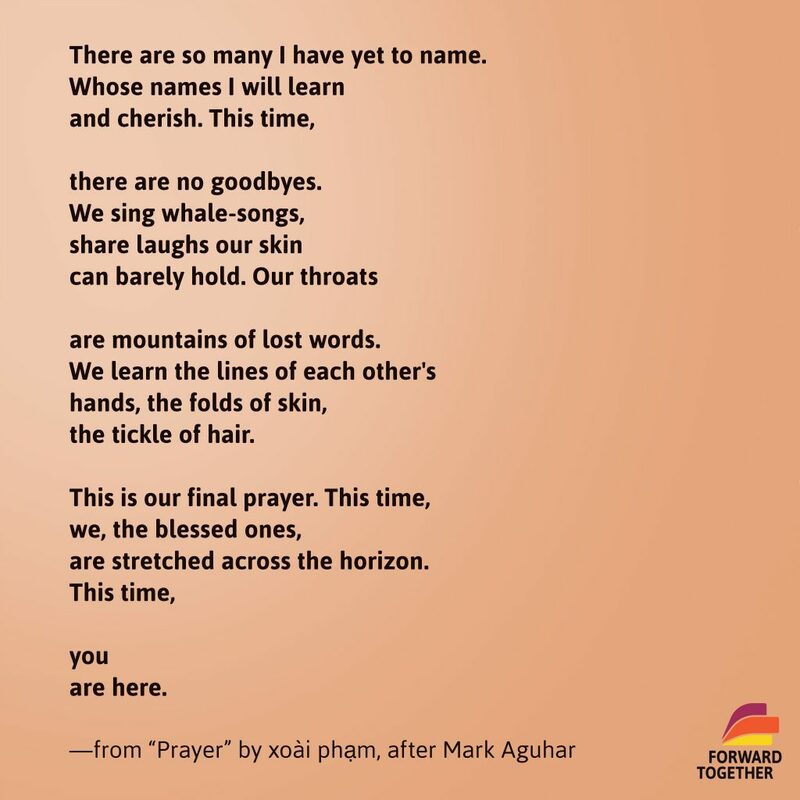 “Let our love quake open any shackle.” This #TDOR, we’re not just mourning our dead. 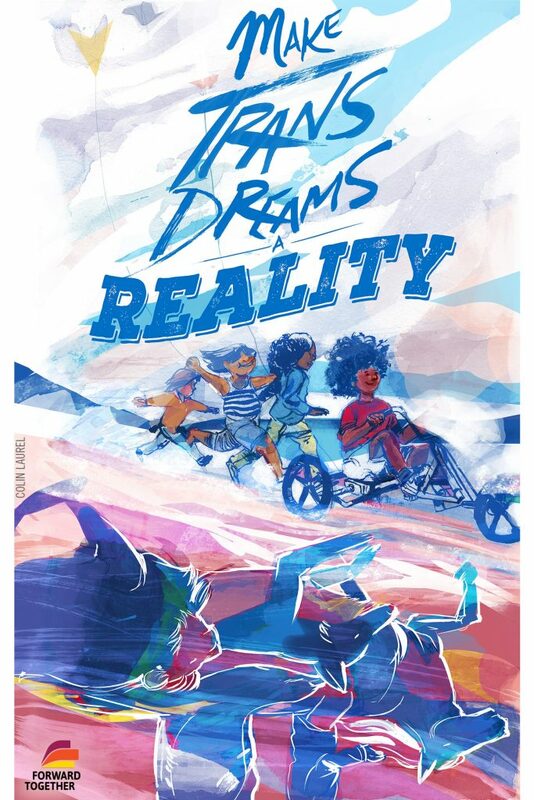 We’re sharing art made with love, for and by our living trans family. Join us: http://tdor.co/. grow: ourselves, our communities, our movements. 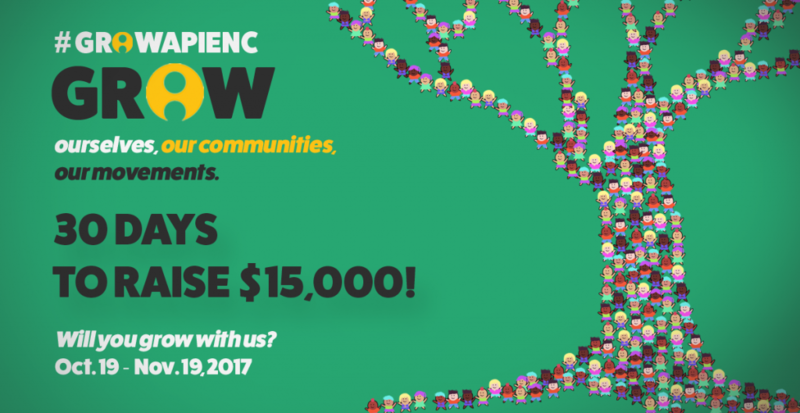 #GROWAPIENC towards $15,000! 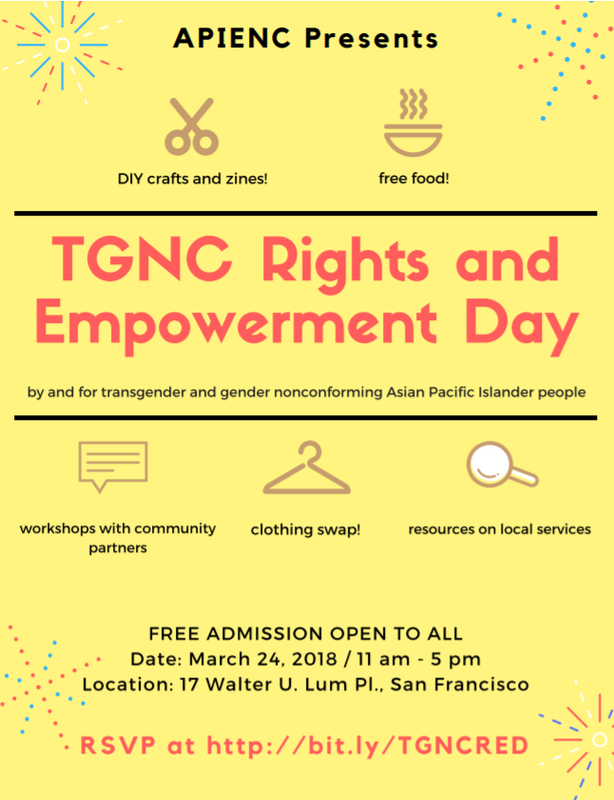 Since APIENC was started, we’ve moved from being a coalition that included transgender, queer, and allied API people, to a TGNC and queer-led organization. We’ve also moved from 90% foundation funding to over 60% individual donations. These shifts required specific and intentional changes over time. 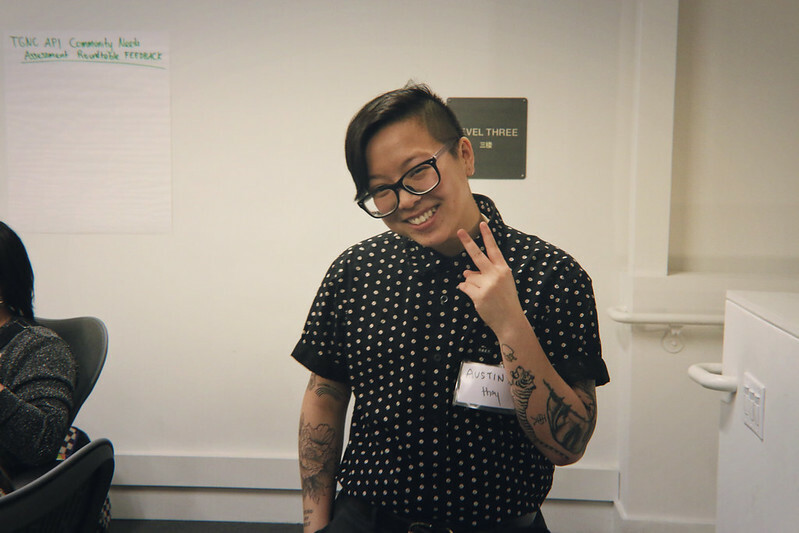 Some of these changes include: moving away from SF Pride and putting our energies into organizing for Trans March; creating volunteer-led committees for young people, TGNC people, and queer folks to strategize and build programs; hiring TGNC staff; and cultivating partnerships with strong movement organizations! 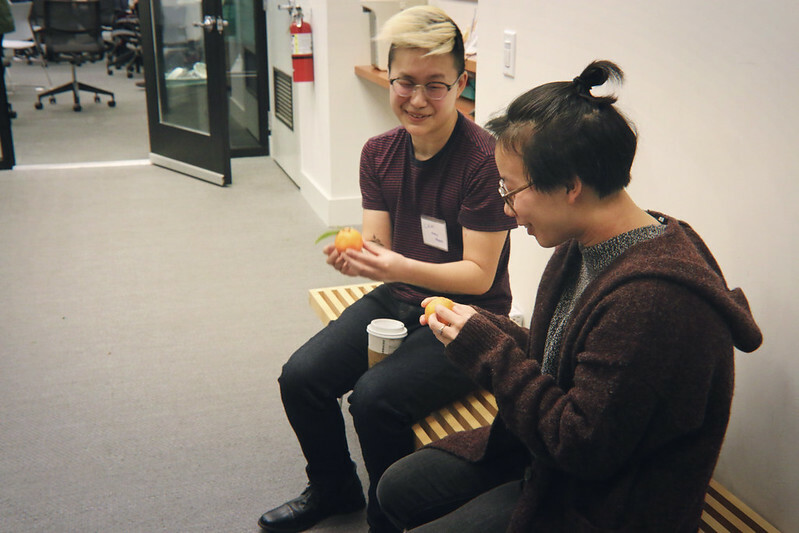 We have become a training hub for young people, a reflection space for activists of all ages, and a convener of LGBTQ API folks working to build a new and intersectional world. In just our past year, we’ve seen how the average attendance at our events has gone from ~25 to ~70! You can see even more updates at this link. Thank you for uplifting our work, being in community, and growing with us! Please join us for our annual Community Brunch on Sun. 11/19 to celebrate and appreciate our volunteers. In addition, we’ll be closing out our fall fundraising campaign. You can RSVP here for further details and to let us know you’re coming. 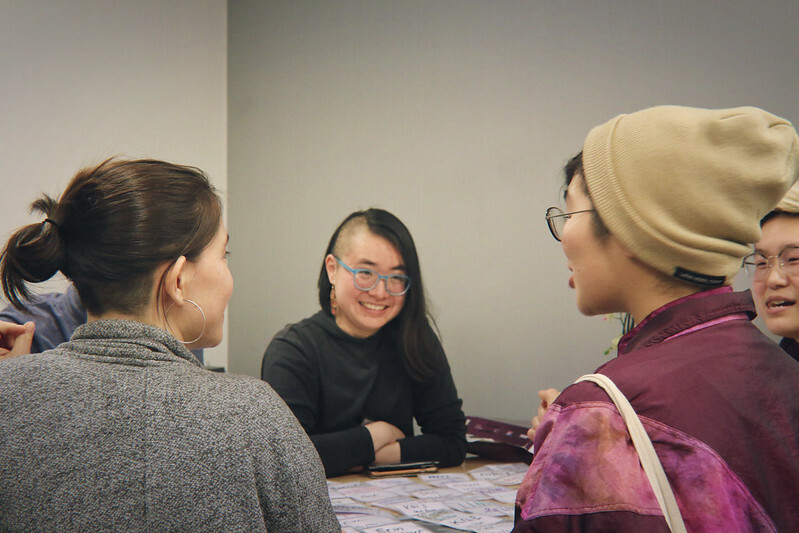 The Resilience Archives is a collection of personal photos, fliers, interviews, and historical documents from the LGBTQIA+ Asian American and Pacific Islander community in the San Francisco Bay Area. It has been created as an act of resilience to ensure the stories are told and made accessible to the public at large. The This is a collaboration between APIENC (API Equality – Northern California), the Visibility Project, and artists Mia Nakano & Kat Evasco. RSVP Here For Your Tickets! Large format portraits from the Visibility Project, a national portrait and oral history collection focused on queer Asian American women and trans community, will be exhibited in the space. Short films from the oral history interviews of the Visibility Project and Dragon Fruit Project will be available in intimate listening stations. Personal archives from community members and organizations will also be featured. This dynamic evening includes a book launch from the Visibility Project! The book launch features a photo book that highlights portraits from Mia Nakano’s 10 years of traveling throughout the country photographing and interviewing the queer Asian American Women and trans community. The book will also include a curriculum bringing in participant voices from their interviews. 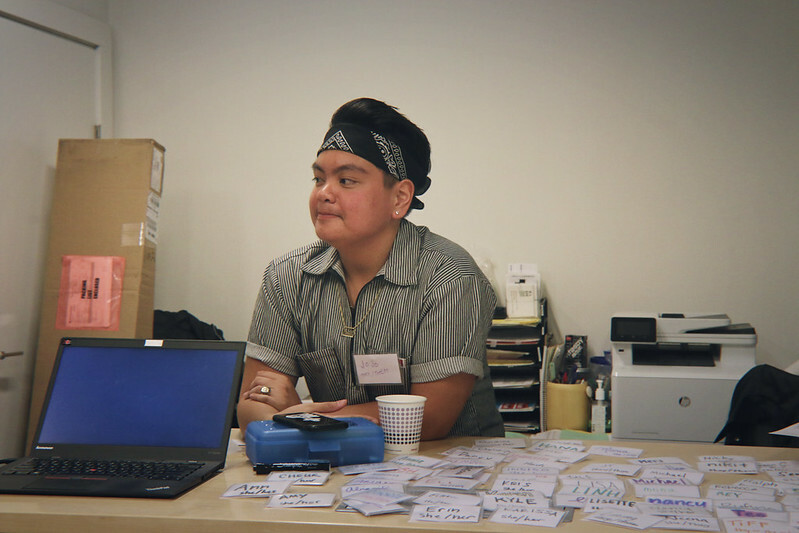 The Resilience Archives showcase will be a powerful community space, filled with the words, works, and histories of queer and trans Asian Americans and Pacific Islanders. These community members have played and continue to play key roles in what it means to be Asian-American, built progressive social justice movements, uplifted undocumented and immigrant roots, and addressed the complicated intersections of coming out in present day America. SLIDING SCALE DONATIONS + YOUR DONATIONS DOUBLE! This event is free, however we are taking sliding scale donations to help raise funds for an Oakland production of this showcase. 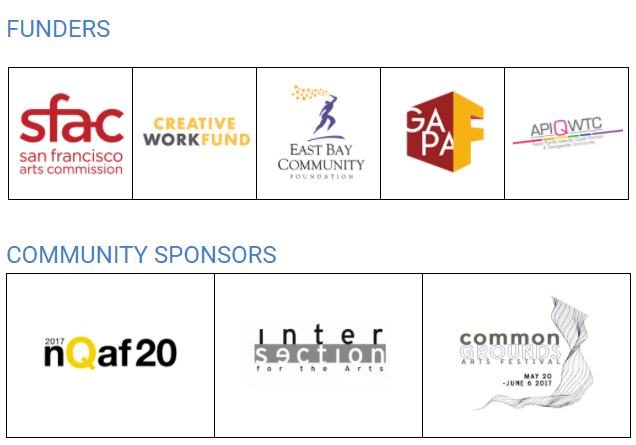 Artists, Mia Nakano and Kat Evasco, are recipients of the East Bay Fund for Artists, which means that all donations will be matched up to $3100! Please help us meet our goal! We will have a list of donors who have donated prior to the event. We will also be taking cash, check, and credit donations the day of. We encourage you to get tickets and books before the event, to help us track attendance and quantities of books needed to print. All donations for tickets and books are tax deductible, you will receive an email mail notification of your donation in a few weeks.